3. Blog Like You Love It! 5. So the Event is Over? Keep Promoting! Promotion of you event is crucial. You need to use every angle you can from Web sites, Micro sites and Micro Blogs and training for those who attend promoting upcoming events to pictures, tweets and Facebook posts during the event and of course follow up posts and interaction after the event wraps. The key to a hugely successful event is training planners to get online content seen by as many relevant eyeballs as possible. Here are five strategies to improve interaction, increase activity by those who attend and get more free publicity for your next event. Creating an online Webinar/Training has become easier with the development of Google+ Hangouts. The added benefit of a Hangout is that it helps all of those who are going to be active in your next Utah event to be in your Google+ Circles which is one more layer of social interaction. The point of the Webinar is to help your active partners to understand how to use the tools you will be providing to promote their involvement in the upcoming show as well as the show itself. Many times we are too busy “working our booth” to meet the other businesses and Network. Social media is a great way to get to know the other members of the show so we can “work our Booth” during the show. This Webinar should be no more than 30 minutes (plus an open question time) and should run about 1 month before your show. Google has made it possible to connect your blog to your Google+ account. This helps give a personal touch to your posts and increases your page rank as well as your conversion. When you continue to engage your audience through the year you will keep your Facebook, Twitter, Youtube and other social media pages active so you will not have to work so hard to build your SEO (Search Engine Optimization) for your next event. Do You Have More Questions About How to Make the Most Out of Your Event? Dennis Duce has all of the answers you and your team needs! 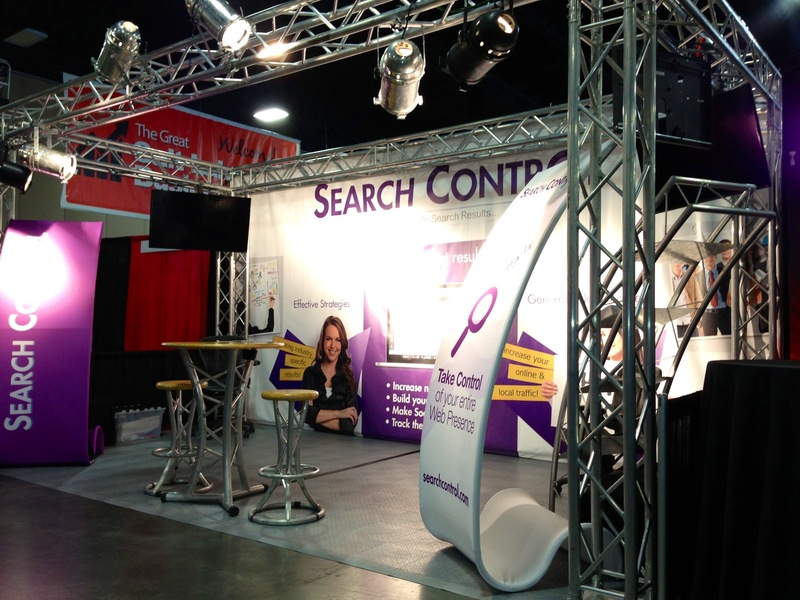 Contact me any time to learn more about how Search Control can manage your events Online Image. If you would like to see how well your event is doing online fill out this form to receive a FREE WebScore. Click to Get Your Free Web Score!